Justin Wangler’s affinity for fine food began at a young age. Growing up in Asheville, North Carolina, he frequently visited his stepfather’s restaurant, The Market Place, for inspiration. By age 10, he was helping prepare meals for family and friends in his mother’s kitchen, and his passion for food grew from there. While he credits his mother as being his first teacher in the kitchen, he received his formal culinary training at A.B. Tech Culinary School in Asheville. During culinary school, he participated in several American Culinary Federation Hot Food Competitions on both a regional and national level, winning multiple gold medals. 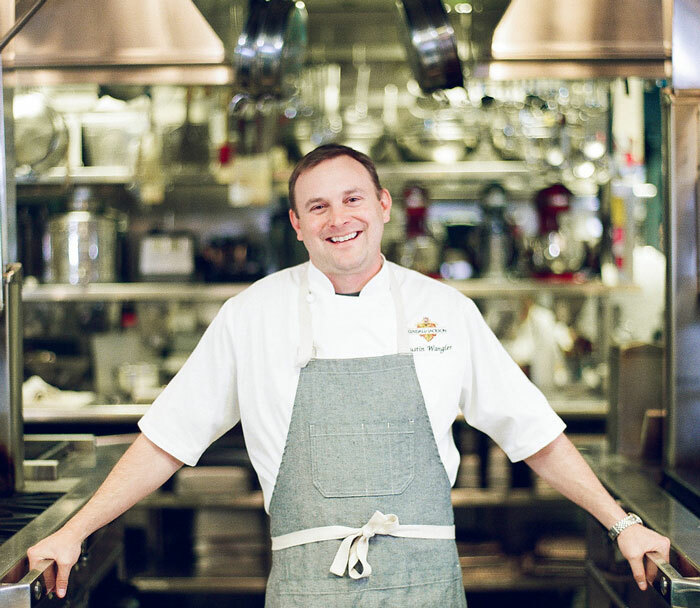 After working at several family restaurants in Asheville, he went on to work at the Cherokee Town and Country Club in Atlanta, before moving to California to work at the Culinary Institute of America in Napa. While working at the Culinary Institute of America, his love of wine led him to Saddleback Cellars in Napa, where he learned everything from how to plant grape vines to how to clean tanks. From there he went on to Syrah Bistro in Santa Rosa. Now in his 13th year with Kendall-Jackson, Justin has found a home in wine country. “The Kendall-Jackson Wine Estate & Gardens is an amazing place to cook,” he said. “I really enjoy the emphasis on wine and cuisine, and there are some incredible ingredients in and around Sonoma County.” He finds many of them in his own backyard from Kendall-Jackson’s estate gardens, where the broad selection of fruits and vegetables not only provides inspiration but also allows him to use seasonal ingredients at their peak. He strives to create dishes with balanced flavors that bring out the best in the accompanying wines.